Simply select the Quantity that you quoted, which the customer has ordered. Also indicate how to charge for overage. 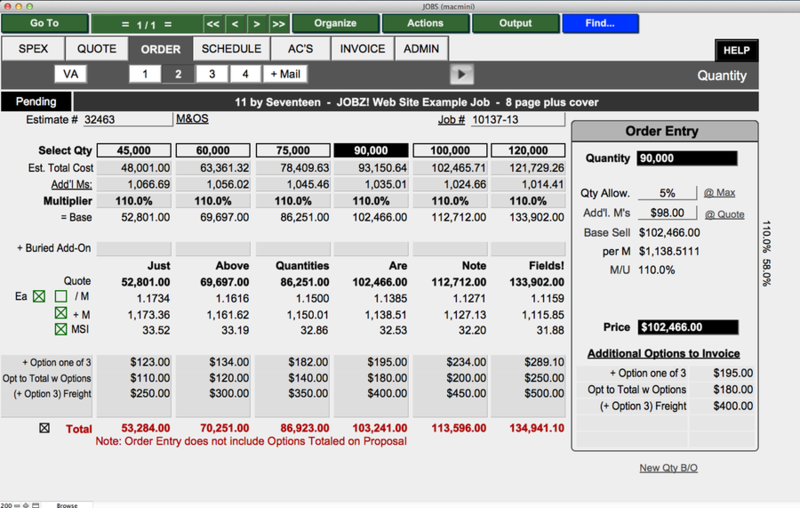 Additional items can be added to the invoice with a click to reflect how you quoted the job.